Very little is known of this paradise city, especially to the people in the east. One can very easily miss it, because no one can imagine Egypt like this. It is being positioned as an exotic destination with great hotel properties along the Red Sea coastline, casinos, nightclubs etc., bustling with Europeans, Russians and the like. We were quite surprised to not see any Indian tourists apart from us; maybe this place isn’t known to many. It offers some really great dive sights. 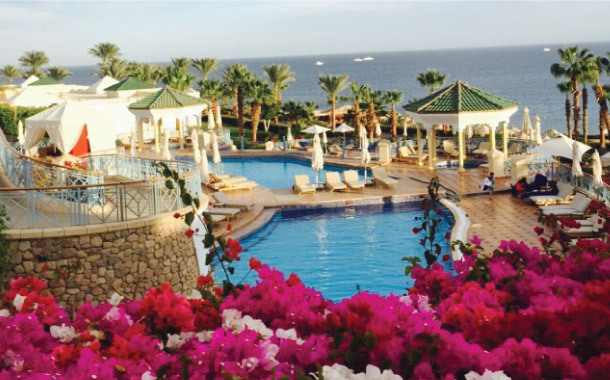 We stayed at the Hyatt Regency Sharm El Sheikh Resort, the design, layout and facilities are fantabulous. The view from the reception is breathtaking. Within 15 minutes of our arrival, we were hooked to the place. The resort has a private beach, diving school, water slides and well-manicured lawns. Every room on the property is overlooking the sea. We spent our first day pretty much monkeying around the property. In the evening, we got into our party wear to paint the town red. The town centre has Hard Rock Cafe, TGIF, Pacha, sheesha bars etc. and the whole place was buzzing with people, street performances, loud music and shopkeepers who were trying to woo us into buying their stuff. A liberal town much like a European city than Egyptian. One can roam around in shorts, racerbacks, short dresses etc. and it is all acceptable in public. The next morning offered us clear blue skies. Water reflected different shades as the sunlight hit its surface. At a distance, we saw divers suited up on the deck of a yacht. Skydiving and deep sea diving had been on my cards for way too long. However, that day, I was hoping to strikeout one of them. was a 45-minute drive and about 20kms from our hotel. Throughout the way, our driver kept us engaged in his stories about his Russian girlfriends, casinos, Israel – Egypt conflict and all. He went on and on and on. Well, we did manage to decipher quite a bit out of his broken English! He was like a superhero - driver by day and casino hopper at night. Ras Mohammad is absolutely deserted and you can’t afford to go off tracks. We picked a spot and snorkelled for hours. 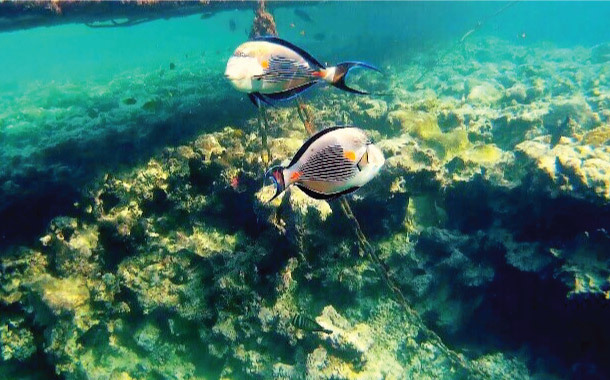 There are underwater corals and an astonishing marine life. We saw various colours, sizes and shapes of fish, few of them even came close to the underwater camera of ours to pose. At a distance, in another part of the reserve, there was a reservoir that had a medicinal connotation. Legend has it that if you take a dip in it, all your skin related issues are sorted. There are gorgeous underwater caves formed as a result of earthquakes. We spent little over 4 hours absorbing the beauty in the wilderness and taking time out for ourselves. 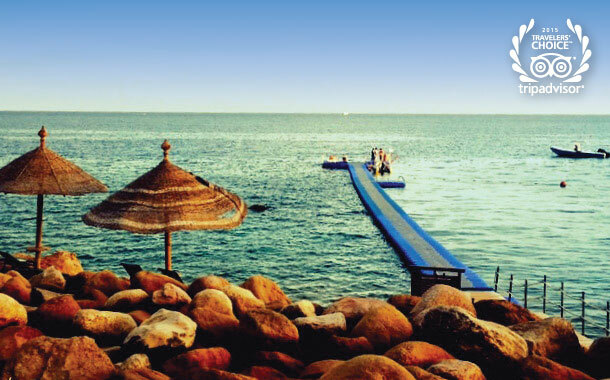 Throughout our stay, we spent more time in the water than on the ground in Sharm el-Sheikh. The same evening we went to the Sanai Casino to try our luck and make millions. Our dreams were shattered within 15 minutes and with empty pockets, we made way to the exit. They were kind enough to give us a free ride to the hotel. While leaving, the casino manager made a statement with a smirk on his face, ‘Sir, the casino never loses. Hope you enjoyed. Come again soon. Good night’. To explore this beautiful place, have a look at our Egypt tour package.